Big trucks, big wheels and big fun are in store this weekend at Golden 1 Center as Monster Jam comes to California’s state capital. The excitement is evident for two men in particular, who happen to drive the event’s most iconic vehicles. Cole Venard mans the driver’s seat of Grave Digger, one the most recognizable trucks in Monster Jam history. Being part of the first Monster Jam to take place at Golden 1 Center holds special meaning to the 30-year-old driver. Venard began his career 10 years ago as a young mechanic who applied on a whim for a crew job with Monster Jam. After receiving an opportunity with that first gig, one of his initial stops on tour happened to be Sacramento. “To be back here, it’s a whole new building,” said Venard, who is in his second year as a full-time driver. “I’m excited to rock it out driving a truck now. “To take that next step is really cool for me,” he added. Jared Eichelberger handles the wheels behind Max-D (short for Maximum Destruction). Like Venard, the 28-year-old is just in his second year as a driver, but he also happens to come from a family of Monster Truck royalty. His father, Tom Meents, is an 11-time World Champion of the Monster Jam World Finals era. Though he claims one of the sport’s most successful drivers as family, Eichelberger took the time to learn his craft. He started his career as a crew member on his dad’s team, slowly working his way up to chief before proving his talent as a driver. “To be able to bring my truck, Max D, into this brand new building and entertain our Monster Jam fans, that’s something special to me,” Eichelberger said. Off the track, Venard and Eichelberger are friends. But on it, they’re fierce rivals. Grave Digger against Max-D is Monster Jam’s preeminent rivalry and they both get a thrill out of hyping up that competition for the fans. 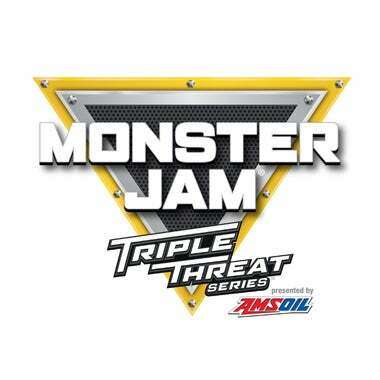 The two Monster Jam drivers are eager to put on a spectacular show for the people of Sacramento. With two-hour events planned each and every night, they’re excited to bring a weekend of off-road entertainment for everyone.